Tires represent an environmental problem that must be addressed immediately. Tires abandoned at landfills cause rodents and insects to multiply by threatening people living near the landfill; in addition, another latent danger is if there is accidentally a fire that burns all the tires in the open air will cause the release of gases and toxins very harmful to humans and animals. 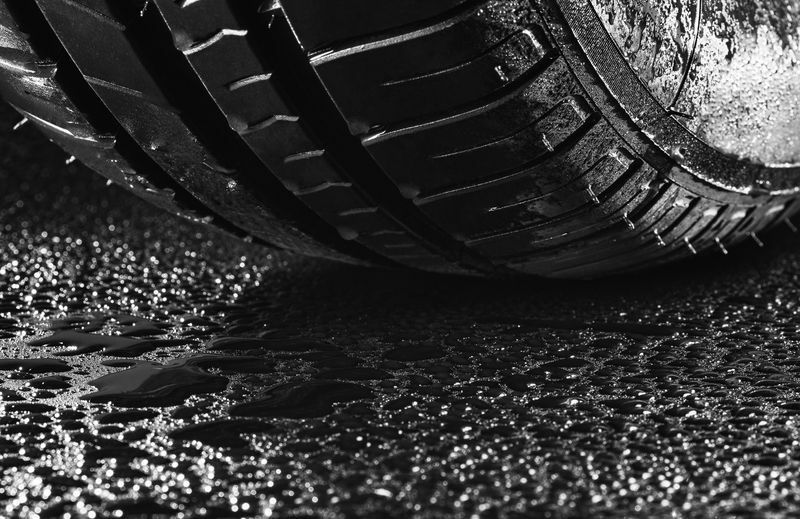 As we begin to observe the accelerated spread of tires in the world; tires began to flood the fields and oceans that began to damage ecosystems and the environment and people began to worry about this problem. In addition, we discovered the longevity of the tires so we will continue for hundreds of years flooded with tires, flooded with the indifference of the past generations. However, during the last few years a small change began to take place, which over the years has become a great movement. This small change was: the recycling of tires. Tires can be recycled in many ways such as freeways, sports fields, children’s games, ornaments, tire derived fuel, among others. The companies use the whole tires or pieces to burn them in their incinerators and create energy to operate the factory. However, there are people who consider that this practice is not beneficial to the environment. On the other hand, using tires as a tire derived fuel reduces the amount of tires that could be forgotten in landfills, they produce the energy needed in different factories and also reduces the use of non-renewable energy. Some of the benefits of tire derived fuel are that it is capable of producing the same energy as gasoline, 50% more than coal and double or even triple that of wood. Using tires as fuel can help your factory reduce costs because it needs less to reach energy levels and tires are cheaper than fossil fuels. Contrary to what one would think, burning the tires in kilns (they are kilns that are sealed, they are not in the open air) can reduce the emission of nitrogen oxide and sulfur oxide to the environment and the regulations to which the factories must be submitted to ensure the safety and control of these systems from which they are being recycled responsibly. United States Environmental Protection Agency is in charge (as its name says) of protecting the environment. However, this agency is still going forward because it wants to implement the culture of pollution prevention. Their purpose is to create awareness of what we can do to avoid it, how can we reduce water waste, how can we use less fuel, and other actions that can help to protect the environment. In addition, this agency works by creating resources to raise consciousness in children about the importance of caring for the environment. Furthermore, this agency is also responsible for testing the impact of recycled tires on the environment. In these tests conducted by this agency, it was found that the waste tires used as fuel contain less heavy metal than some types of coal. In addition, burning tires inside incinerators for various industries has more environmental and economic benefits from power generation than leaving these tires abandoned at landfills. Some industries use whole tires to produce energy. This decision will depend on the size of the factory furnaces. On the other hand, several factories have decided to opt for fragmented tires, better known as tire derived fuel. This type of fuel has gained momentum in recent years because it has been found to produce fewer fossils CO2, the heat is similar to or higher than that of traditional fuels, and is much more economical. What is not to like about tire derived fuel? Crushed wheels are used in various industries such as cement, paper, utilities and industrial boilers. The cement industry is one of the industries that most use this type of fuel, this is because to incinerate the tires in these factories generate heat and ashes. The best part is that every part of the tire can be used again. The heat produces the necessary energy and later the ashes are useful for the manufacture of the cement. This only means two things: saving costs. The cement companies will save costs on raw materials, fuel to produce energy and in addition will be helping to reduce the great contamination of tires that exists in the world. The paper industry also uses tires, but we recommend them to be of non-steel type because this material can clog your feed systems. Another industry that uses the tires is the public utilities because of the high calorific value of the tires; they can produce more energy than the coal, reducing the use of coal, increasing the efficiency in the energy production of the boilers and reduce costs by saving fuel. Finally, in industrial boilers also the tires are used because of the benefits already mentioned. It increases energy with less fuel at a lower cost than materials such as coal. We want to emphasize that the use of the tires in the industries has brought significant benefits, respecting the pertinent environmental regulations for each of them. Together we can make changes, using tire waste that will help society, reducing emissions and the number of tires. Not all companies have started using derived fuel, but little by little this trend of saving the environment by reducing production costs has begun to appeal to businessmen and the government. In Globarket you will find tire derived fuel. We use whole tires and then reduce them in a few inches. In addition, to meet the needs of our customers we can offer them with no steel or no fiber to fit what your factory needs.